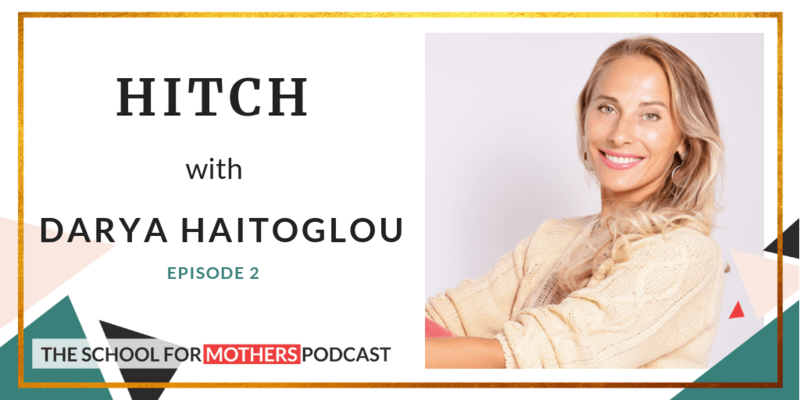 Darya Haitoglou is a psychologist, relationship coach and mother of two children. She began her career in the UK managing international consumer brands for Procter & Gamble. Then she moved onto human resources and eventually she became HR Talent Leader for the P&G Geneva hub. She quit her corporate job in Switzerland to move back to the UK, where she wanted to focus on transforming people’s life/work. She works across countries and speaks five languages. She is known for helping leaders enrich relationships in order to build successful and meaningful businesses. 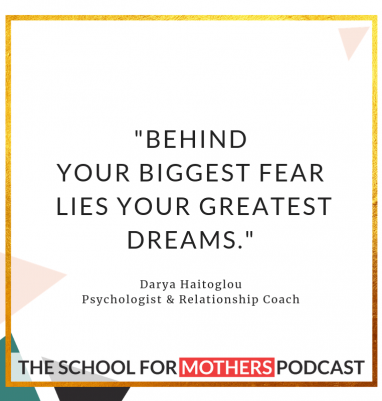 Darya is author of the bestseller “Enrich Your Relationships” and she also writes for the Huffington Post and has featured on BBC radio shows. Early Adopters VIP Code: If you’re UK based and you’d like to join us in London at School For Mothers Live on 17th November 2018, we are offering a limited number of complimentary tickets to our podcast early adopters. To claim your ticket, go to the SFM Live event page and enter the code VIPPODCAST at the Eventbrite checkout. We’d love to see some School for Mothers Podcast listeners at the event!